Reporting is an important part of project portfolio management and resource planning. In Ganttic, there are three types of reports: task-, project-, and resource-driven. For example, if you choose a resource-driven report, even the resources that don't have any tasks during the time period you have selected for the report, are displayed in the report. The same logic goes with the other type of reports, too. You can create report templates for project portfolio management reporting. You can create report templates with only the tasks in mind. And you can create charts to illustrate your reports or to get a quick overview. 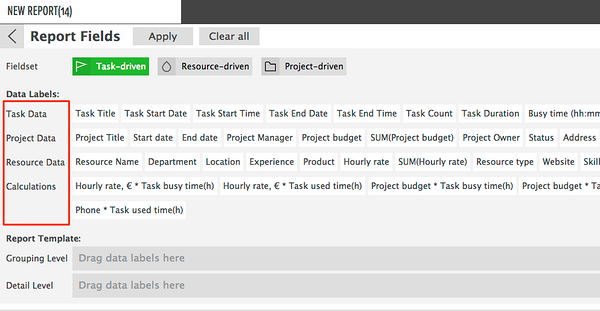 Using reports, you can have an overview of all the tasks, track budget, calculate the difference between the task duration and used time etc. Basically, any information you have in Ganttic, you can report. You won't have to search for a project portfolio management template anymore. You'll have all the necessary reporting tools in Ganttic. And Carl, if we were to report how much you are petting the cat right now, it would be too much.